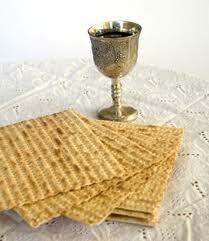 Among the other spring celebrations is the Jewish holiday Passover or Pesach. This year the celebration began at sundown on April 6, last Friday, and it ends the evening of Saturday, April 14. The celebration begins with the traditional Seder or dinner. 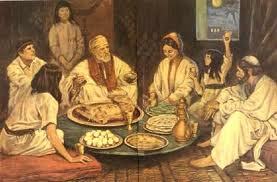 A staple of this meal and other meals of Passover is unleavened bread or Matzoh, which symbolized the exodus from homes in such a rush that there was no time for bread to rise. During this meal, the Haggadah is read. This is a document of the account of the Jewish liberation and, as it is read, it fulfills the directive of telling one's son about the exodus from Egypt. According to the Bible, God's chosen people, the children of Israel, had endured in Egypt as slaves for 400 years. There was a prophecy that the liberator of the Israelites was to be born on a certain date. By order of the Pharaoh, all male children born on that day were to be thrown into the water, but Moses escaped this fate as the Pharaoh's daughter found him floating down the river in a waterproof basket. From these inauspicious beginnings, Moses rose to become the lead advocate for the Jews in Egypt. Ten times he asked the Pharaoh for the release of his people and 10 times he was refused. Each time, God sent a plague that would help to convince the Pharaoh of the errors of his ways. There was blood in the rivers, millions of frogs everywhere, even in the beds, widespread infestation of lice or mites, which might be known as scabies today. This was followed by hordes of flies and extensive death of all forms of livestock. The next, quite distressing to them, was boils (MRSA anyone? ), followed by hail and locusts, which ate up the crops. And then three days of darkness; that was the ninth plague. Finally, Moses declared that the Lord had told him that at midnight he would go into the midst of Egypt and he would cause all the firstborn in the land to die, including all the firstborn of animals. The Israelites were instructed to mark their door posts with the blood of a spring lamb so that the firstborn in these dwellings would be spared. The spirit of the Lord would Passover these homes. 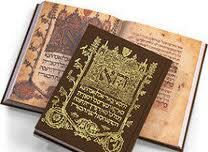 This is part of the story handed down the generations by means of the Haggadot. For a long time, Haggadot were hand-written, but eventually some were printed. These volumes of Haggadot were rare and cherished. 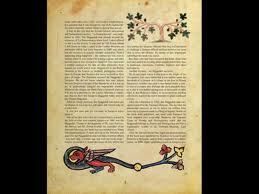 Possibly the first printed texts were produced in 1482 in Guadalajara, Spain. 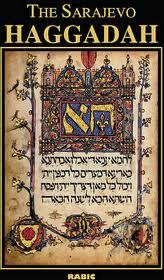 One famous example is the Sarajevo Haggadah, an illustrated manuscript that is the oldest known in the world, originally coming from Barcelona around 1350. In People of the Book, Geraldine Brooks has written a fictional account of the mystery of this manuscript. An expert book conservator, Hannah Heath lives in Australia. Awakened from a deep sleep, Hannah receives a phone call requesting that she come to Bosnia to use her skills to conserve and restore the precious Sarajevo Haggadah. The war between the Serbs and Croats is, one hopes, ending soon and the United Nations wants this book to be a unifying factor. Through the years, this Jewish book survived many wars and travelled to many places as its owners moved or were moved from place to place. At least twice in its history it was rescued from certain destruction by people of the Muslim faith. Perhaps, on one occasion, it was saved from the fire by a Roman Catholic. In the course of Hannah's repair of the book she came across small artifacts that can help in the investigation of where this book has been. One of these is a small insect wing that turns out to belong to an alpine moth. Another of these is a wine stain, perhaps mixed with blood, and finally there is a small thread or hair as well as some salt crystals. One last mystery that Hannah wants to unveil is why this book was published with illustrations in an era when the Jewish faith did not approve of images in their books, since they were considered sacrilegious. The chief librarian in the museum where the Haggadah is located has a feeling about this special book: "The hagaddah came to Sarajevo for a reason. It was here to test us, to see if there were people who could see that what united us was more than what divided us. That to be a human being matters more than to be a Jew or a Muslim, Catholic or Orthodox." "… the book has survived the same human disaster over and over again….you have a society where people tolerate difference, like Spain, and everything's humming along: creative, prosperous. Then somehow this fear, this hate, the need to demonize the 'other'––just sort of rears up and smashes the whole society. Inquisition, Nazis, extremist Serb nationalists… same old, same old." Similarly, Hannah's personal mysteries and sorrows also keep repeating themselves because she has yet to come to a mature understanding about them. 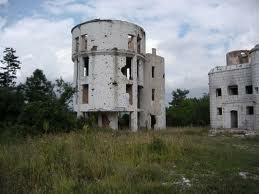 The United Nations wants the restored book to be part of a shrine to Sarajevo's multiethnic heritage. It will be displayed amidst Islamic manuscripts and Orthodox icons. Hannah still has a way to go before she can put her past in true perspective. People of the Book is a good way to vicariously celebrate this time of year. I have only read a few of these books so I will have some excellent reading in front of me. I can always recommend Harry Kemelman's Rabbi Small series. I have just begun reading Matt Beynon Rees's The Samaritan's Secret, but I am too early in the book to see how it relates to Passover. 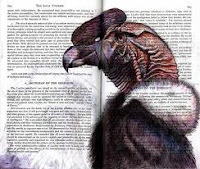 MC, fascinating, and beautiful illustrations. 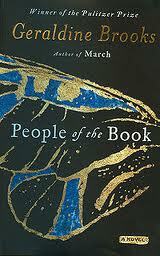 While its in my TBR, I haven't yet read People of the Book. I read the Rabbi series many years ago and enjoyed it. What I enjoyed most about the book is the fact it is base on a true story mixed with some fiction, but it was hard to separate the two aspects of the story since it was written so smoothly. Batya Gur (sometimes spelled Gour--I think you don't use vowels when writing Hebrew? ); these actually take place in Israel and if I recall correctly the protagonist may not be that observant. Obviously the Faye Kellerman Decker/Lazarus series. Batya Gur is one of my favorite authors. Chief Superintendent Michael Ohayan is a wonderful protagonist. The stories are always thought provoking and seem to spot light small communities like a university, or orchestra or even a group of Analysts. The only one that focuses on politics is THE BETHLEHEM ROAD MURDER. I will have to check out the Rabb series, that one is new to me. Thanks, Bonnie. Thanks, MC. Being as I am on a Greek island surrounded by Easter Week practices, it's good to know where I can go for a dose of other "Orthodox" traditions.